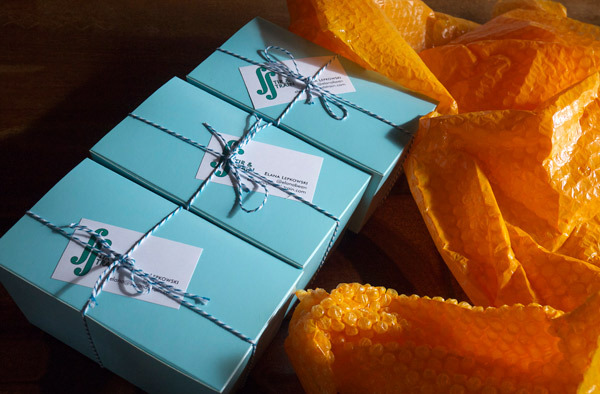 Are you browsing sites that are still offering to ship presents before Christmas? I am. I could have sworn I was done a week ago but there keeps popping up a missed gift or two. I’ve had to shoot a text to a few family members letting them know that their present might not make it in time (I wasn’t about to call and admit I forgot); an issue when your entire family lives 3,000 miles away and everything has to be handled by the post office or UPS and it’s obvious when you just plumb forgot. I also found myself a little sad today that the holiday party season is coming to a close. My quota of warm punches and bottled cocktails was definitely not met. BUT! We still have New Years and I’ve been thinking about the perfect cocktail to serve for that, the last of the year’s parties. I love the juicy, slightly citrus flavor that pears impart to cocktails and love them even more when they cozy up to some strong baking spices. My signature NYE cocktail will have all that with a touch more citrus bite from fresh lemon juice and a hint of smooth, rich maple to round the whole drink out. The base of the cocktail uses Everclear to start and I infused that with cinnamon, black pepper, cloves, green cardamom and allspice using my favorite quick infusion method (cream whipper I love you). I keep that separate so that I can tinker with the adjustments to make the final cocktail perfectly spiced; it’s just of the ways I’ve used Everclear this season for cocktails. You can check out the myriad of ways Everclear is transforming craft cocktails as part of their Make It Your Own campaign. If all these spices seem like a lot to go and buy, remember you can purchase in bulk online for cheap. 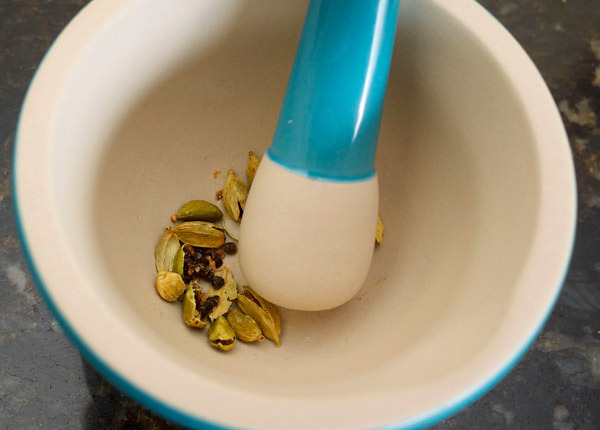 I like having the option of whole spices at home for using in recipes or infusions, and when I need ground spices, I can make them fresh and keep some small jars on hand. It’s a little extra legwork up front for better tasting infusions and food down the line. This cocktail also batches up well so, as the spiced Everclear base will make about 8 drinks. Feel free to adjust the recipe below to accommodate the number of guests you’ll be serving. No need to make individual drinks at the party this year; you can plop all this in the pitcher and mingle. 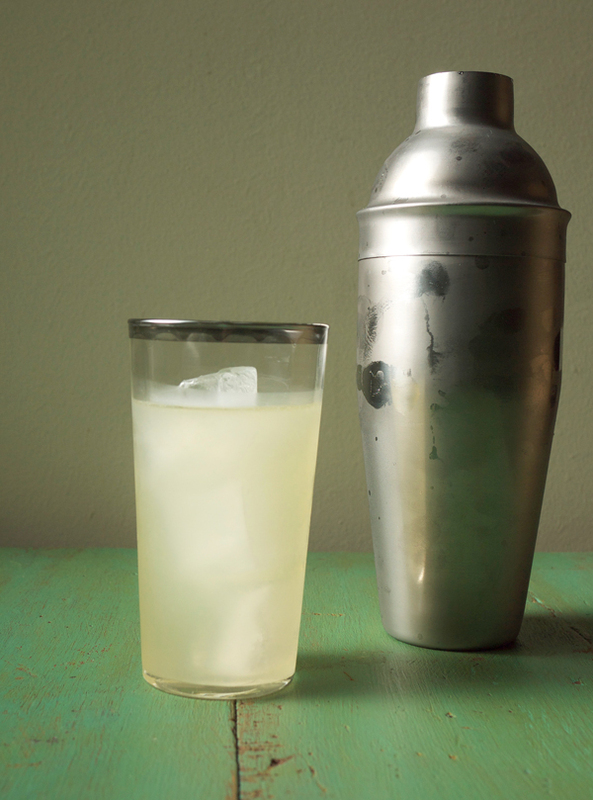 Combine spiced Everclear, pear nectar, maple syrup and lemon juice in a shaker 2/3 filled with ice. Shake about 20 seconds and strain into a champagne flute. Top with chilled soda water and garnish with pear slices. Into a whipping canister (I use the ISI brand canister), add Everclear and spices. Screw on the top and charge with one charger of N2O. Discard charger and let the mixture sit for one minute. 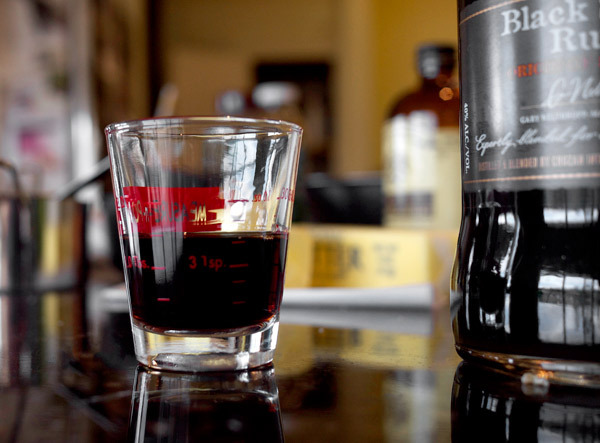 Release pressure, open the top and strain Everclear into a clean vessel for storage. Use spiced Everclear immediately or keep sealed in a cool, dark place for up to six months for optimal flavor. 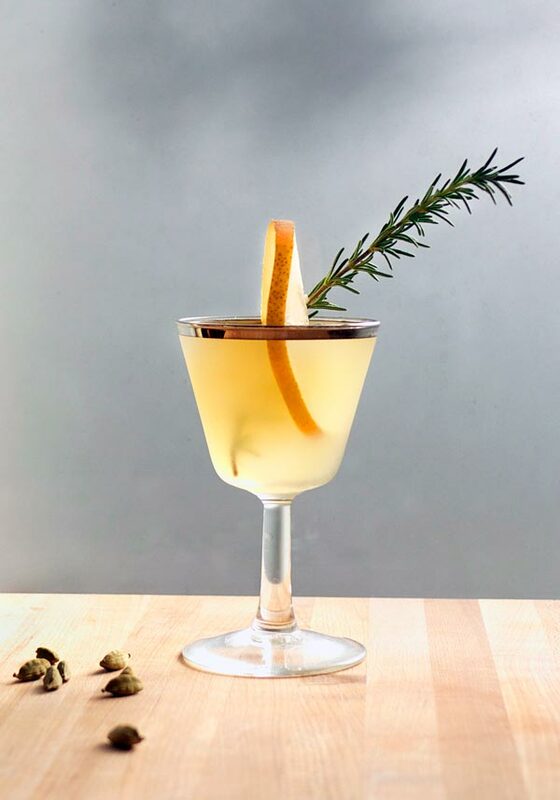 About a year ago I saw an article about a new (very old) elixir riding on the coattails of the cocktail world’s shrub renaissance. This drink’s name: Switchel. I think switchel sounds a bit more fun than shrub. Shrub sounds like the friend you have who won’t go out on a Thursday night because they have to turn in a term paper the following Monday and need the time to study. Switchel sounds more like that friend calling you at 4am asking if you want to get doughnuts. Anyway, Switchel quietly died down and I completely forgot about the saved article. I continued on with shrubs despite the name. (see here here and here) Recently though I remembered I had saved this article and revisited it again. More likely out of my desperation for it to be Fall already, I was looking for recipe ideas using apples. Instead it uses apple cider vinegar, a starting point I’d use to adapt to my own Autumnal tipple. Switchel recipes are all basically the same plus or minus an ingredient or two. It also batches really well. So you can mix up at gallon of it Sunday night and drink it all week. Guys! Maybe I should back up here a second and remind you that switchel is NON ALCOHOLIC. Just like a shrub it contains no alcohol, but you can use it as a base for your cocktail creations. I even have a recipe for you I’ll link to. The flavor of this switchel on its own is sharp and tangy and almost like drinking a cocktail, or at least that’s what you tell yourself if you’re -cough- well into your second trimester and desperately miss cocktails. So, pregnant ladies out there, you’re welcome. For my variation on a switchel, I added in some of my favorite Fall flavors: cinnamon, green cardamom, cloves and steeped that in a base of apple cider vinegar, ginger and maple syrup. The spices are subtle when compared to the strong, zingy ginger, but I like that those flavors are not too overpowering. The apple cider vinegar provides a sharp sour contrast that you can adjust by adding or subtracting the water from the mix. Personally I like that sour flavor and I find the drink quite refreshing. If you’ve found shrubs to be a bit too strong for you, you definitely might want to scale back on the vinegar and up the water a bit; taste and see. 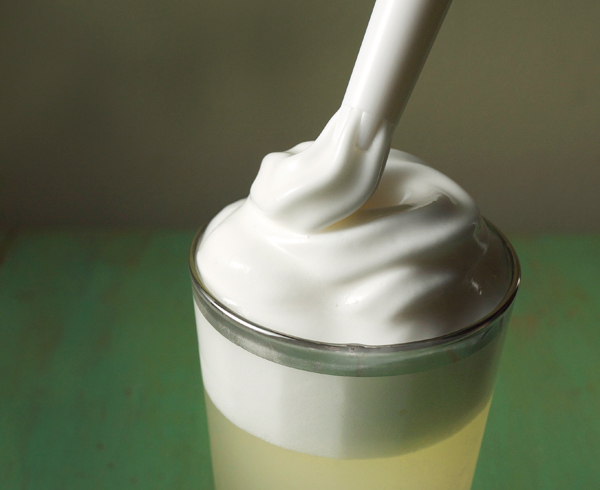 Pass ginger through a juicer (you should have about ⅓ cup). Strain the juice through a fine sieve to remove any larger pieces. Combine ginger juice, vinegar, maple syrup, and water in a large container and stir until maple syrup is dissolved. Add in cinnamon sticks. And then put the cloves and cardamom pods into a tea filter bag (Bags are not necessary but help in collecting all the bits later on. I prefer the bags with the drawstring for easy collection later on.) and add to the mix. Refrigerate overnight or at least 12 hours. When ready to drink, remove the cinnamon sticks and the bagged spices. Switchel can be drunk as is, over ice with a splash of lemon juice or in a cocktail. 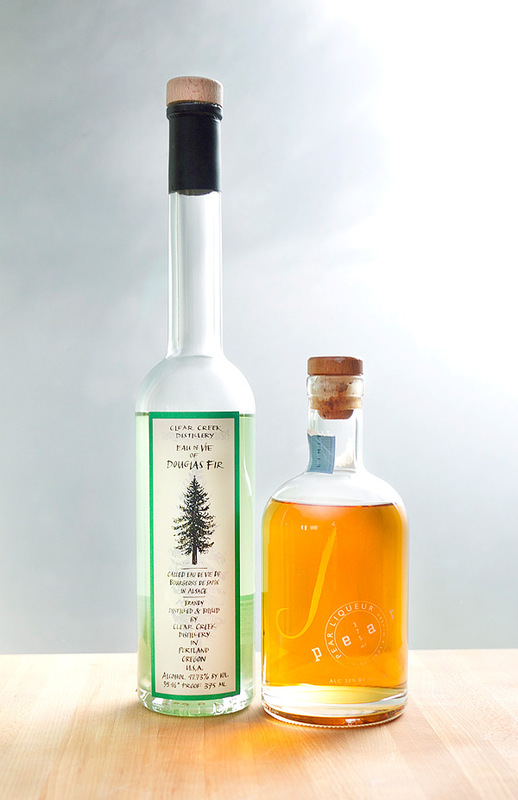 And speaking of cocktails, we’ll have an end of Summer cocktail using the Autumn Apple Cider Switchel here tomorrow! Enjoy! There’s this Indian spiced rice pudding that I make every now and then. It’s one of those recipes where you have to stand there and stir over a flame for about 20 or 30 minutes. It’s a labor of love, but it’s also a lesson in patience. 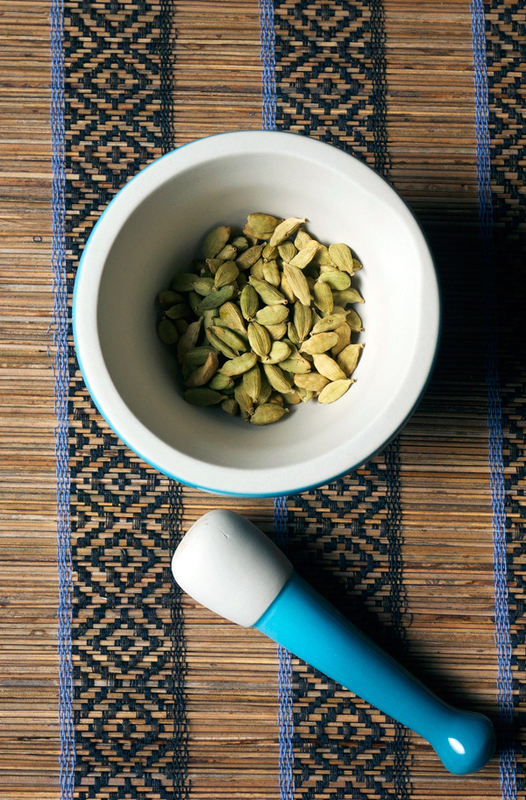 To have the patience not to scoop out scalding spoonfuls into your mouth because the heavy scent of cardamom is so powerful you have to succumb to it. Maybe it’s just me, but a dish with a nice balance of cardamom is never a let down. That idea I found is also true in cocktails. It’s been awhile since I’ve worked on tinctures and this one has been in my “to make” pile for awhile. I made a small batch for you all since a little goes a long way, and if this is for your home bar, quite frankly I wouldn’t want you to end up with more than you could ever use. 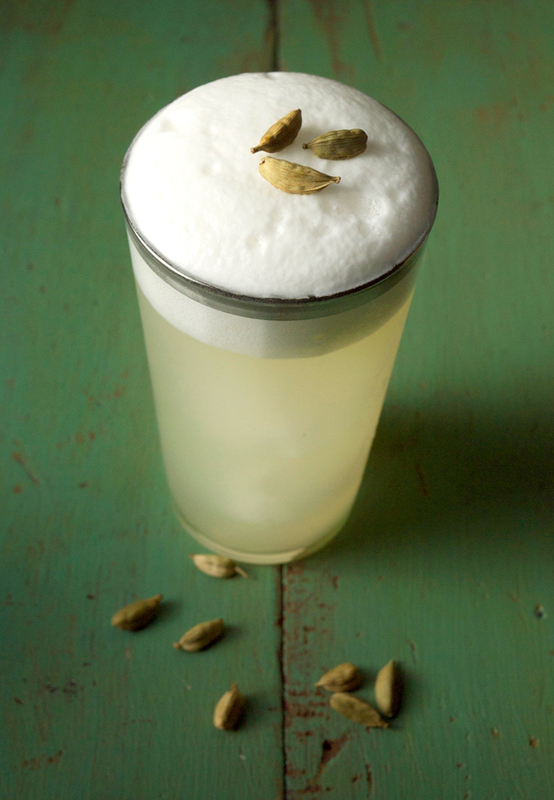 Cardamom goes wonderfully with a London Dry style gin and pairs well with lots of citrus. However, it also works great with flavors like coconut and pear. You can use this tincture to add just a few drops to a cocktail, or sprayed over it to give another aroma to your drink experience. This tincture is pretty easy to assemble, it just takes a few days to brew. 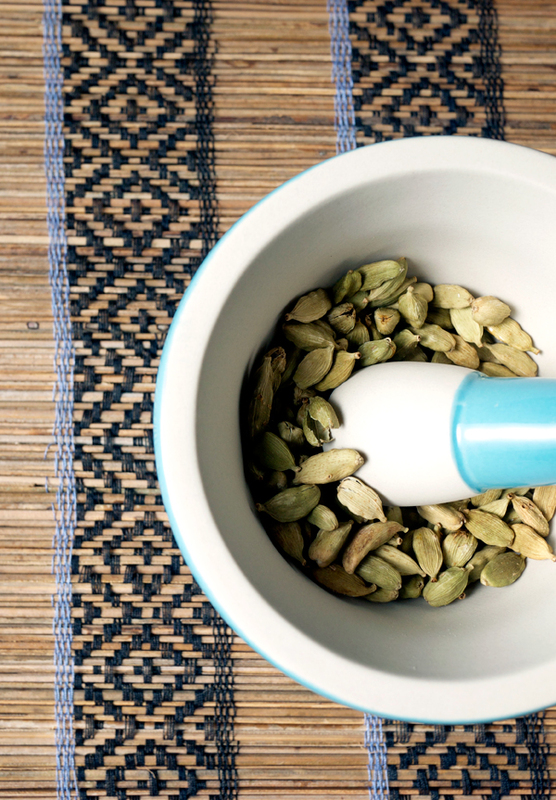 In an airtight container (mason jars with lids work great) combine alcohol and cardamom pods. Swirl to combine and leave in a cool, dark place for 6 days. After 6 days, strain out solids using a fine strainer and cheesecloth. Store in a airtight jar. Flavor will last up to a year. 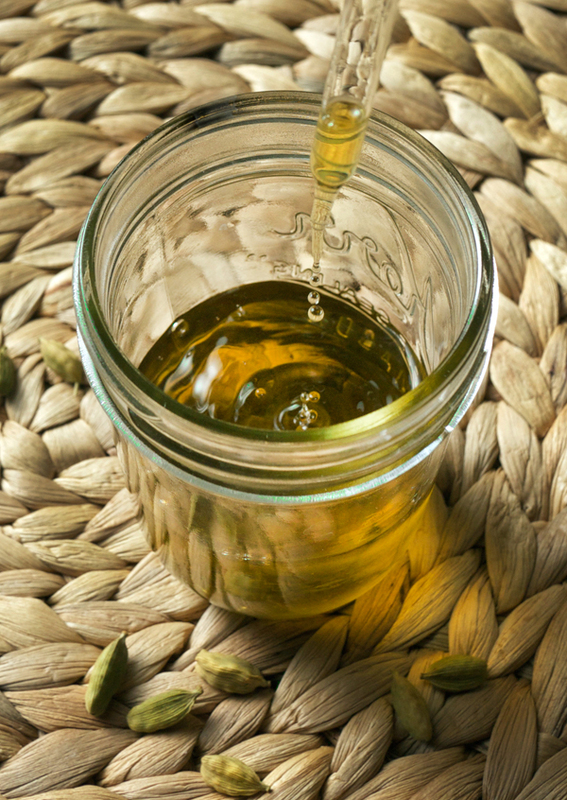 The aroma the tincture imparts is an intense cardamom smell that has sweet, floral notes. Looking for a recipe to go along with this? Stay tuned! One coming up this week. Santa gets cookies and a cocktail at our house. Panic. Panic is setting in as I look at the calendar and realize that Christmas is in two weeks and I haven’t even sent out cards yet. But I did make a batch of holiday flavored cookies and my house smelt amazing the whole time. That should be all we need during the season, houses filled with the smells of cinnamon and ginger. And rum. 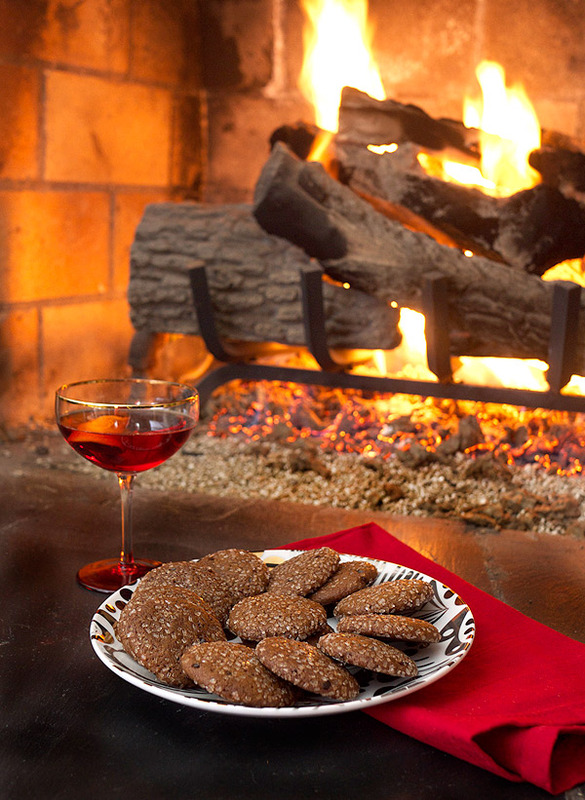 Cookies should have rum in them too. And I did that for my first time participating in the Great Food Blogger Cookie Swap. But you’re a cocktail blog! I know! But sometimes there are food goodies on here and this was for charity and also: I love cookies. Fresh grind your cardamom please. Right from the beginning of this challenge I knew I wanted to make molasses cookies. They ship well and combined with Black Strap Rum they are filled with deep, dark, molasses-y goodness. So that’s what I sent. Of course there was a hiccup; the first batch accidentally got much more cardamom then they should have and ended up in the garbage. 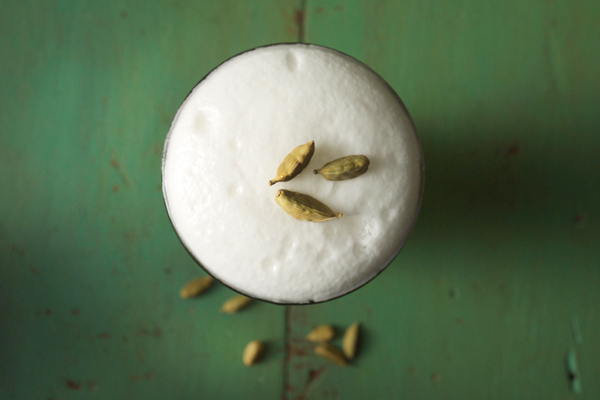 Seriously guys, a little cardamom goes a LONG way. The next batch however was perfect: nicely spiced, smelled divine, and they were edible. The 3 recipients also got a couple extra cookies thrown in because they ended up being smaller than first anticipated and I am nice like that. Let’s get to the baking! 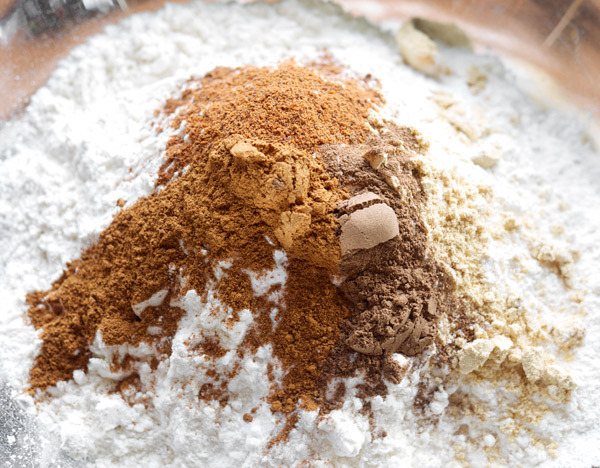 In a medium sized bowl, whisk together flour, baking soda, cinnamon, ginger, nutmeg, allspice, cardamom and salt. Set aside. In a large bowl, using an electric mixer set on medium speed, beat together the butter and brown sugar until fluffy. Beat in the egg. Then beat in molasses, vanilla and rum. Reduce the speed to low and add the flour mixture, mixing until blended. Cover the bowl and refrigerate overnight. Cover 3 half sized sheet pans in parchment. Using a 100 size disher, scoop out cookie dough onto sheet pans. 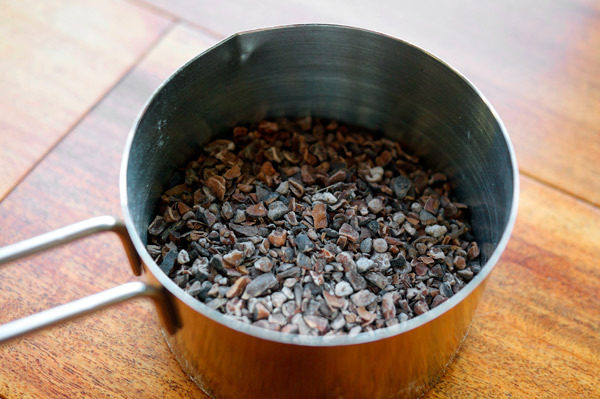 Once dough has been scooped, by hand round out scoops into balls, toss in a small bowl filled with the sugar crystals and flatten out the ball into discs about 1/4″ thick. Refrigerated for 20 minutes. Move the sheet pans directly from refrigerator into the pre-heated oven and bake for approximately 12 minutes. 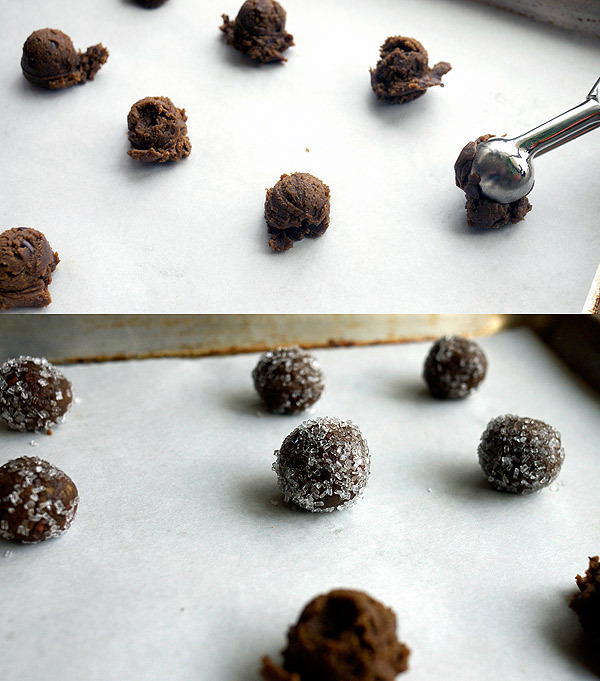 Remove from oven and let cool on sheets for about 10 minutes and then transfer cookies to a cooling rack. Once cool, cookies can be stored in an air-tight container at room temperature for up to one week. The rum here accentuates the already present molasses. These are pretty much what I think of/what I want in a holiday cookie. They are fragrant with spices, not too sugary and are small enough that I can eat a handful without thinking twice. I hope all my recipients enjoyed their batches, and I hope that you try a batch this year.